Are you looking for an affordable plumbing, heating, and air conditioning company in Elizabethport, NJ? You’re in luck because Rite Rate is a 24-hour plumbing, air conditioning, and heating company! We offer pocket-friendly installations, repairs, and replacements for plumbing and HVAC systems. Regardless if you need these services for your home or business, Rite Rate has you covered! All of our technicians and plumbers are fully certified and have years of experience in the field. Due to our 24/7 availability, we’ve been ranked the top plumbing, air conditioning, and heating company in Elizabethport, NJ. Our team of experts is always here to respond to any emergency with your residential and commercial HVAC and plumbing. Is it 2 AM and the boiler or furnace isn’t working? Don’t stress! 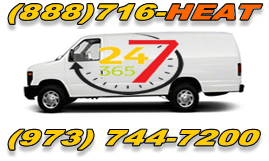 Call Rite Rate for emergency heating repair in Elizabethport, NJ! We’ve got your back no matter if it’s the middle of the night or on a weekend. We’ll quickly respond to your call and repair your heater in no time! Need a new heater? No problem! Rite Rate can offer residential and commercial heating installation as well as replacing your old unit. No matter if it’s a boiler, furnace, radiator or hot water heater, Rite Rate is your trusted heating company in Elizabethport, NJ! There’s nothing worse than a flooded bathroom due to a clogged toilet or a sewer that’s backed up. Call Rite Rate today for professional plumbing services in North NJ. We can repair and replace any pipe, drain, and plumbing fixture. If you need a new toilet, sink, shower, drain or faucet installed, we are your go-to plumber! Don’t let the summer heat get you down. At Rite Rate, we’re dedicated to offering affordable residential and commercial air conditioning installations and repairs. Our technicians will help you choose the right air conditioner for your budget and the size of your space. If air conditioning repairs are no longer working, then we can diagnose the AC and determine if it needs to be replaced. From heat pumps to ductless air conditioning, Rite Rate is the expert air conditioning company in Elizabethport, NJ!